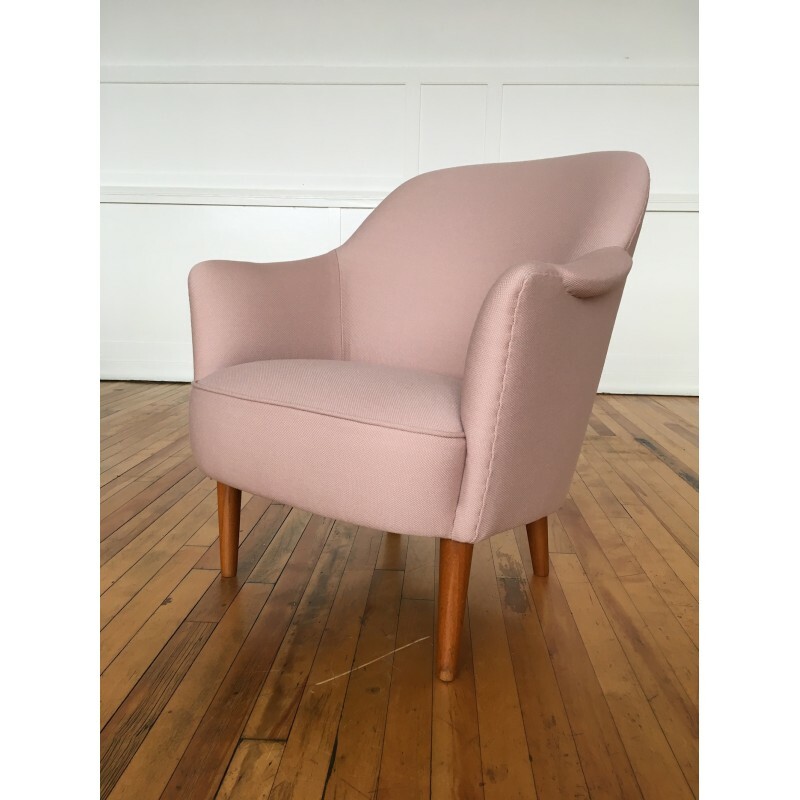 A very special 1950's original "Samspel" armchair, designed by Carl Malmsten for AB Record (Bollnas, Sweden). 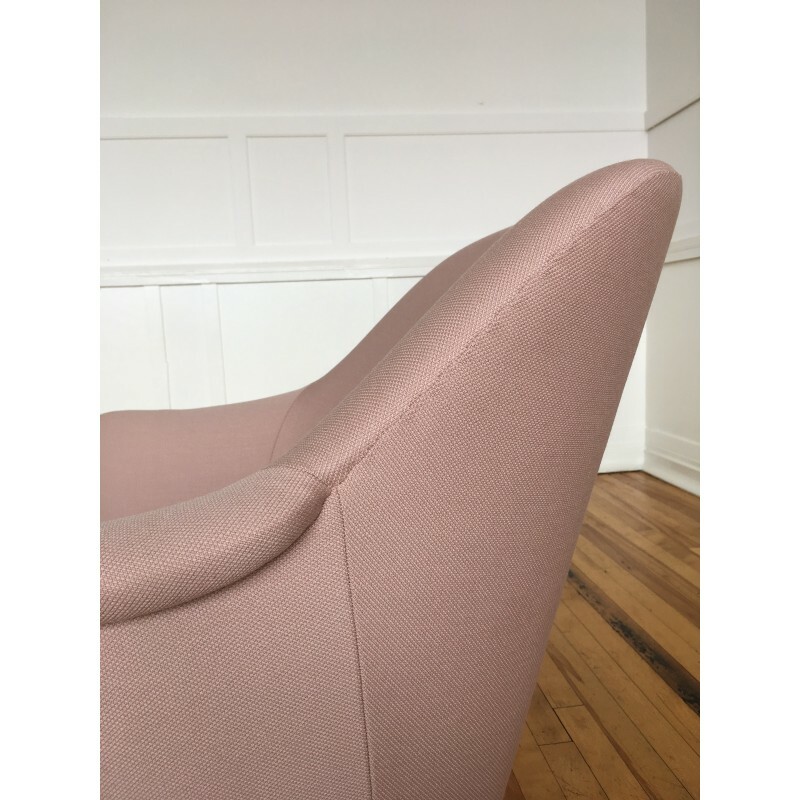 The armchair has been completely reupholstered from scratch (including the coil sprung seat) using only the highest quality materials. 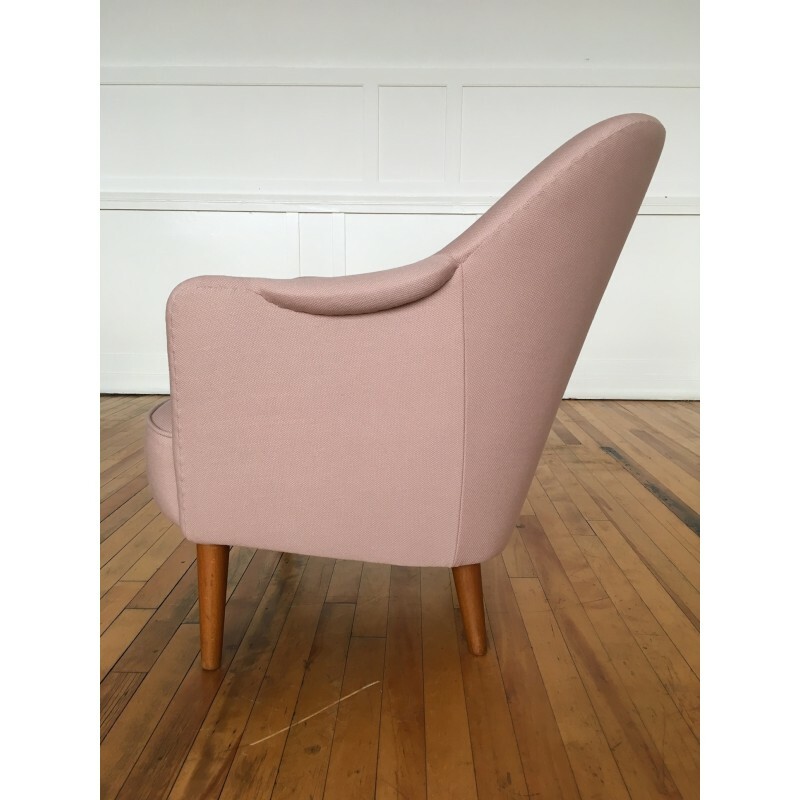 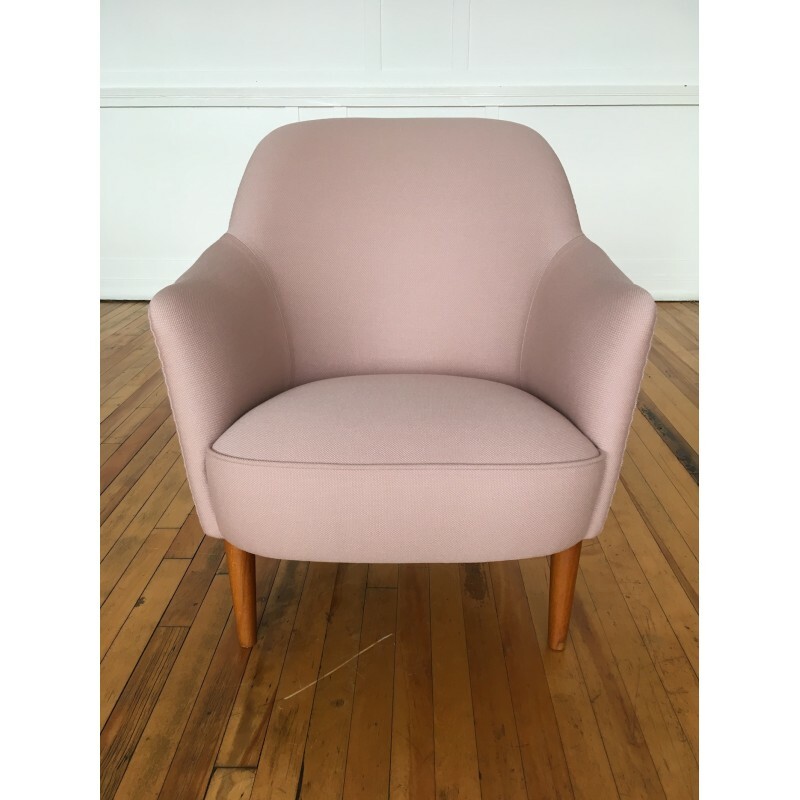 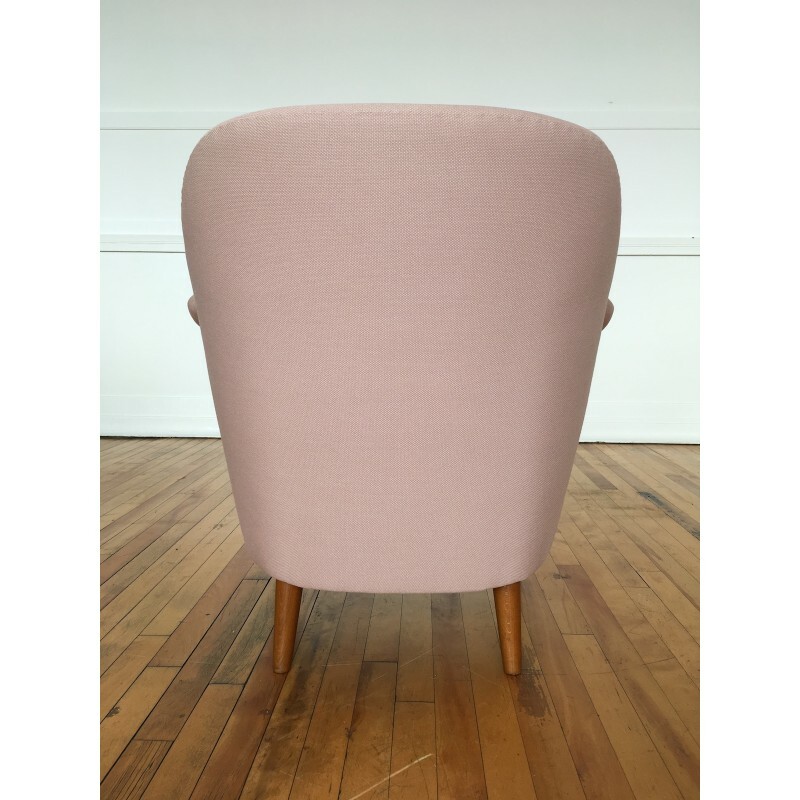 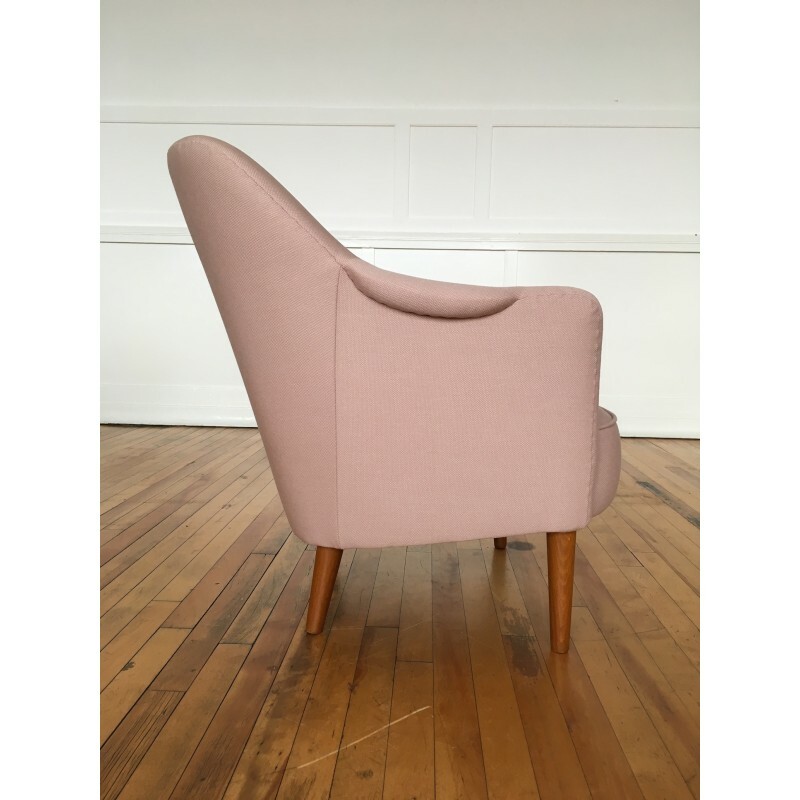 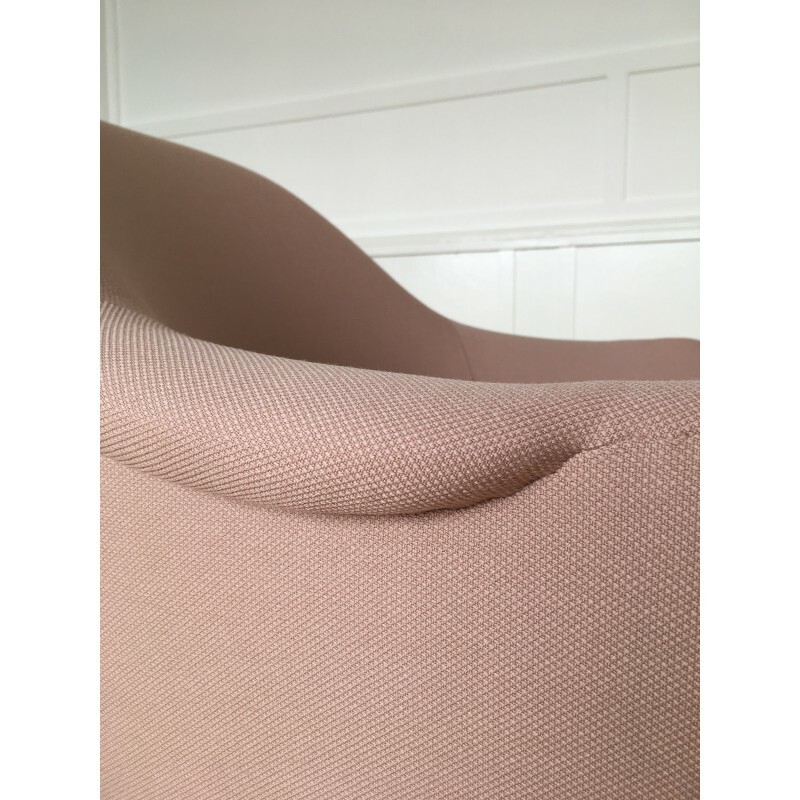 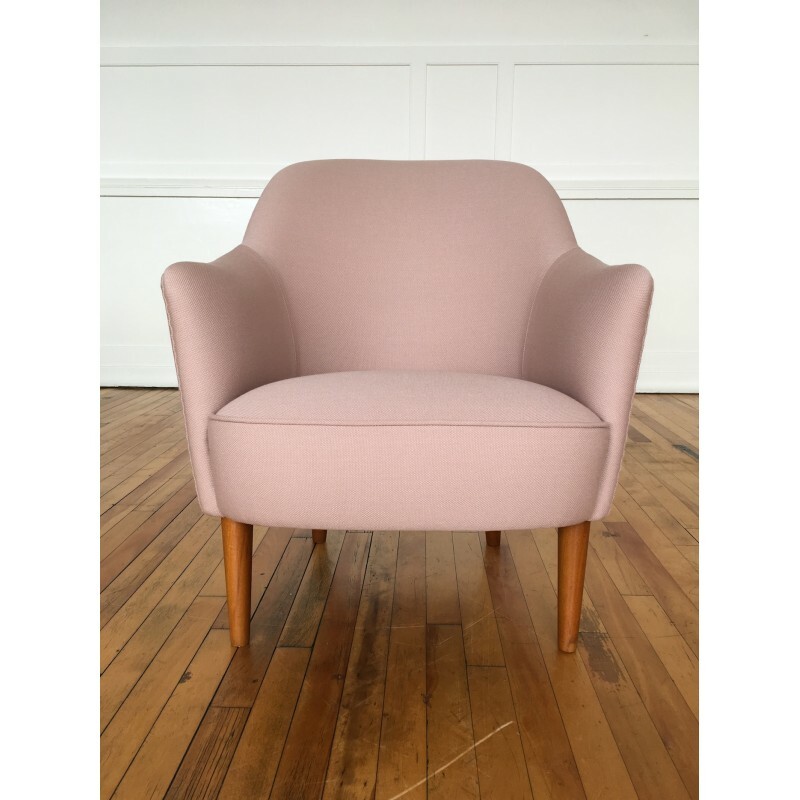 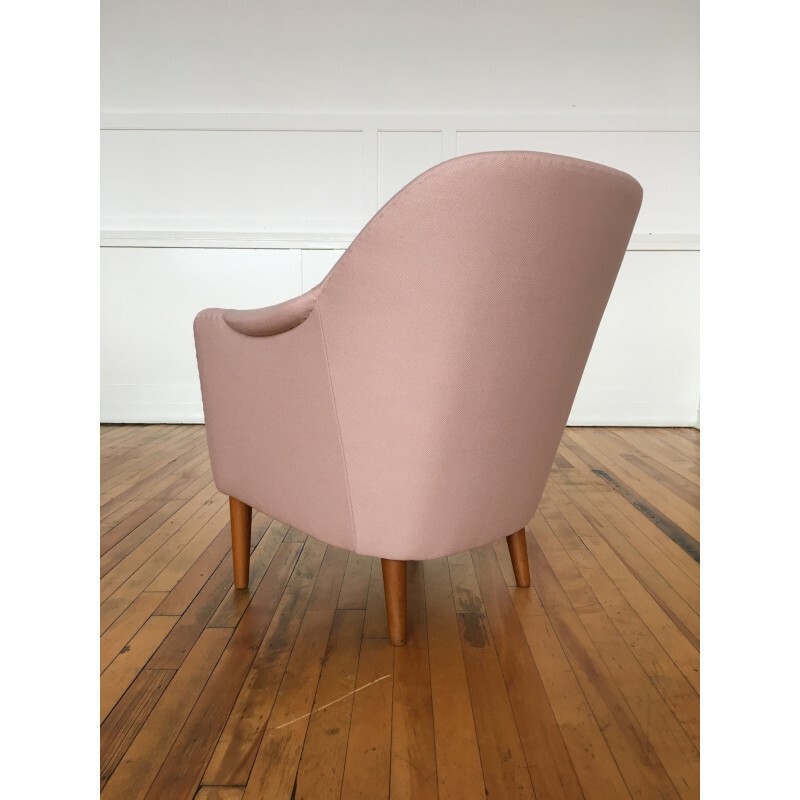 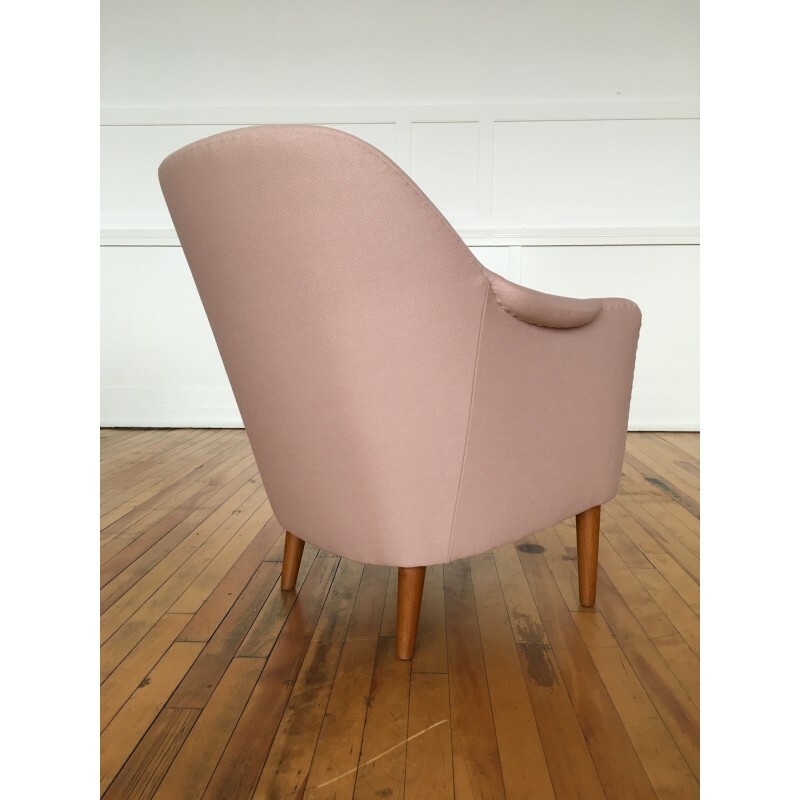 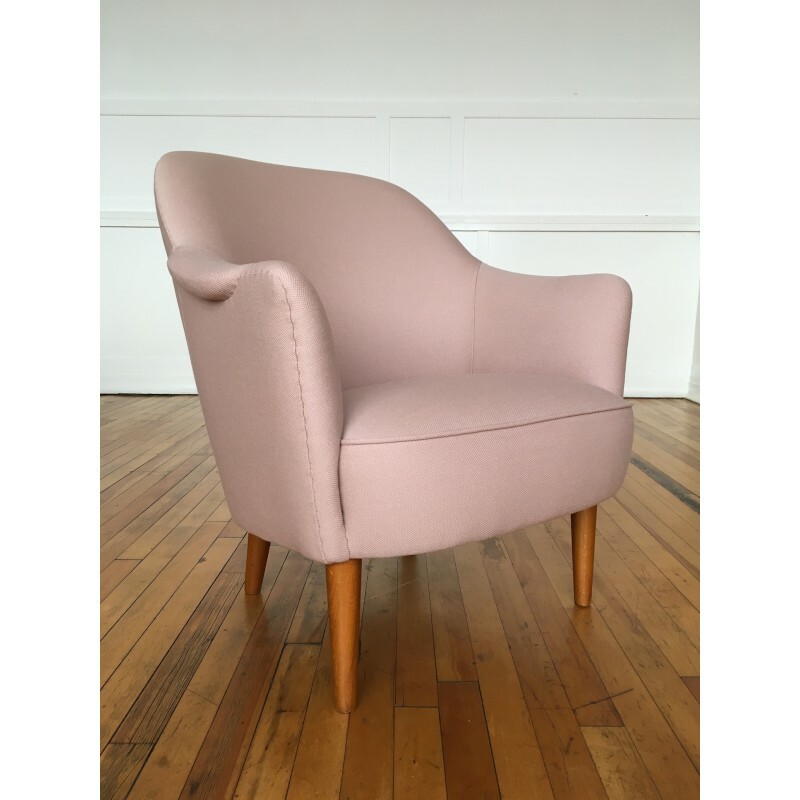 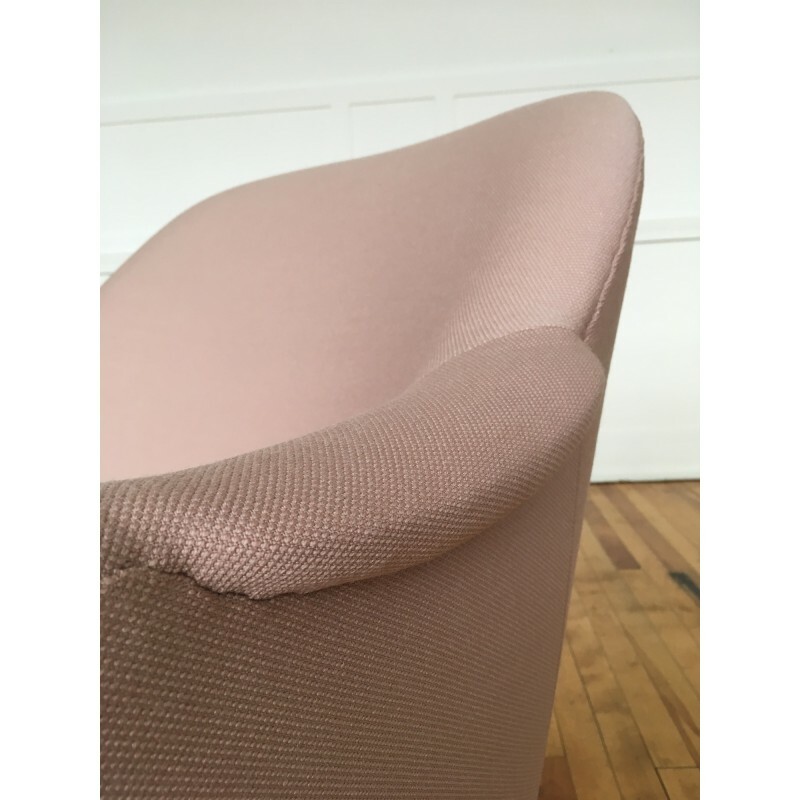 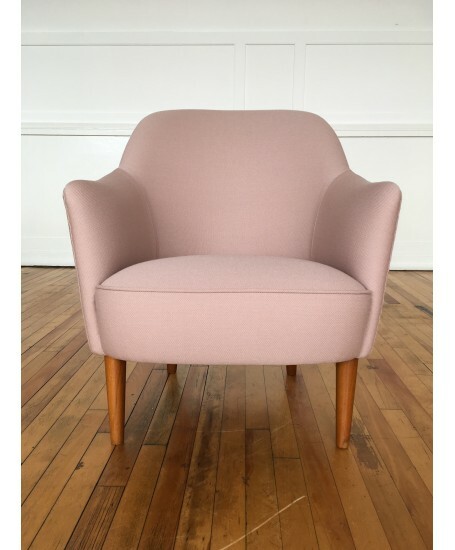 We opted to finish the chair in a dusty pink wool from Kvadrat's "Steelcut" collection. 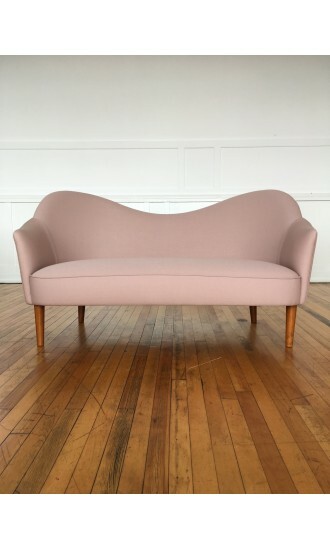 Matching sofa also available - please see our other listings.